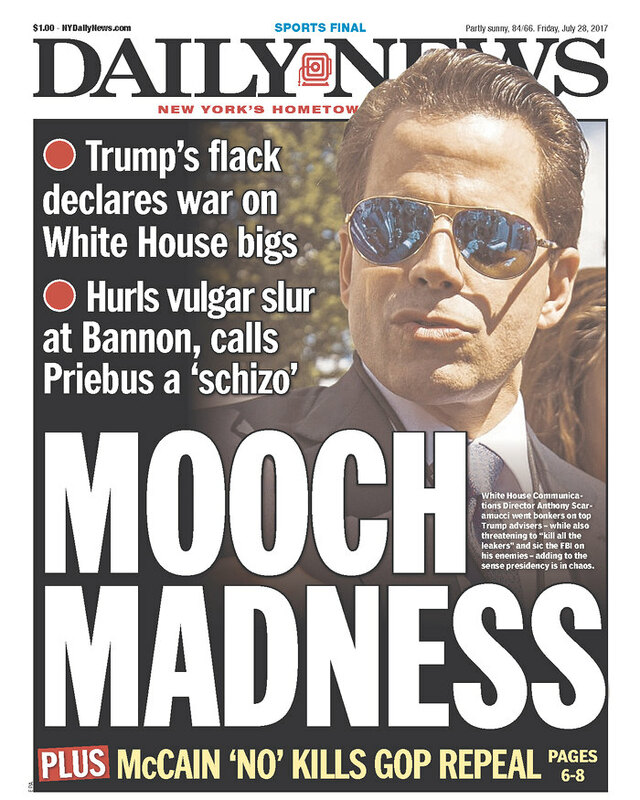 And he actually called himself "The Mooch." I love this man. He tried to explain his profane comments later. Dude, you called a reporter for an on the record discussion! Back when America was great, Lenny Bruce was put in jail for that kind of language. Very random thought: Back in 1996 I decided to finally go back to a Bridgeport football game and saw "the spread" offense for the first time. It was a playoff game in Graham. I was fascinated. But this also occurred: During the game I heard someone behind me talking about the Internet. I remember turning around and asking, "How do you get on that?" How did I get on? I went to the one company in Decatur providing service who lent me multiple discs to install a Netscape browser. I couldn't figure it out. I finally had to take the whole home computer to them and they installed it for me. The Messenger post yesterday regarding the appointment of an interim JP has some golden nuggets of tension and insight in there if you know what you're looking for. It's even better if you know Wise County politics at this moment in time. People who were arrested on Wednesday/Early Morning Thursday in Wise County weren't "arraigned" and allowed to post bond until after 4:00 p.m. on Thursday. It all is based upon when the judge decides to show up. Mrs. LL put out humming bird feeders which has led to the most fascinating visuals ever. I never believed I'd see a humming bird fight. This is insane. A cop stops a city council person for DWI and lets him go.The cop was fired. And now this: "A Tom Bean city councilman who was let go after a Saturday evening traffic stop in which he appeared to be intoxicated was involved in a head-on collision Thursday morning." He was charged with Intoxication Assault. Going back to The Mooch, last weekend I made fun of him bragging that Trump could "sink three foot putts." The following, however, is disturbing. The official released White House transcript has changed "three" to "thirty." Modern day Pravda. He Tried To Tell Them . . .